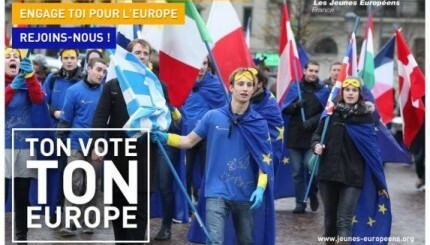 JEF Europe has been invited as one of the Youth Organisations to ask a question in one of the rap-battles in the European Parliament on wednesday the 9th of April at 18.30. 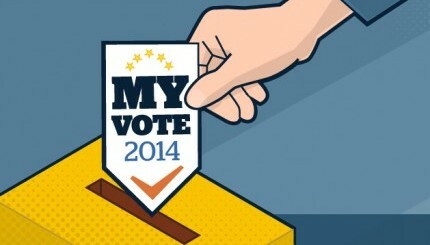 The event is organised by EU40 and MTV Voices, in cooperation with MCI and AmCham and supported by Facebook, this show aims to get young voters interested in European politics and the upcoming elections. 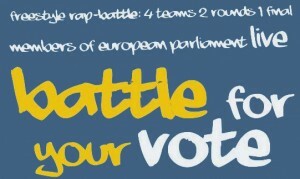 Four teams – each comprised of two Members of the European Parliament (MEPs) from the same political party and a professional freestyle hip hop artist – will duel on topics relevant to Europe today. During the freestyle hip hop battle, teams will compete by rapping with music on a given topic, effectively debating the other team, going back and forth. The exact topics will be announced at the start of each battle. Several youth NGO delegations will submit topics and introduce their topic to the audience while the MEPs will brief their rapper on their stance. The winners will be determined by audience applause. MTV Voices will be filming the freestyle hip hop battle and will produce a video for distribution. 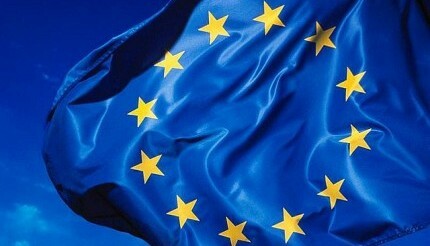 The event will be followed by an after party which will take place at Coco, Place Luxembourg!